a) Pets travelling from other EU Member States and 'listed' Third Countries (for eg USA, Australia and Japan) will no longer need to be blood tested after they have been vaccinated against rabies. b) Pets travelling from other EU Member States and listed Third Countries will only have to wait 21 days following their rabies vaccination before they can enter the UK, rather than waiting 6 months, as previously. c) Dogs travelling to EU countries can not leave Britain for 21 days post rabies vaccination. d) Pets travelling from 'unlisted' Third Countries (e.g. China, India & South Africa) will no longer be required to undergo six months compulsory quarantine and will be able to enter the UK if they meet certain requirements (they are micro chipped, vaccinated against rabies and have passed the blood test). However they will not be allowed to enter the UK for four months after the date of vaccination. It is advisable to check individual circumstances for the country you plan to visit. 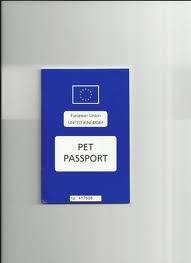 If you would like to discuss the UK Pet Travel Scheme further then don't hesitate to contact the practice.